Contender produces center console and express fishing boats ranging in size from 21 to 40 feet in length, available in both open and cabin configurations. Contender produces high quality, outboard powered, offshore performance cruising and fishing vessels. All components are manufactured in house including metal fabrication, carpentry, electrical and upholstery. The current model lineup consists of 8 open cockpit center console offerings and 4 express cruiser cabin boats. 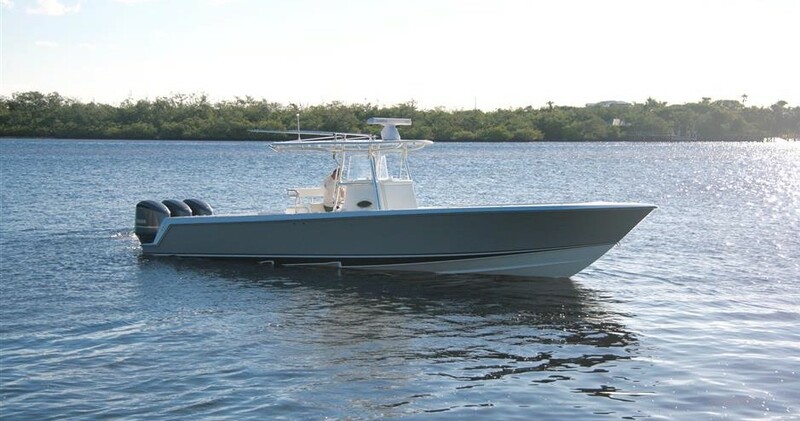 In 2008 Contender Boats Inc. expanded its performance options by offering Stepped hull options for it’s 3 most popular larger models with a fourth debuting this year. The unique design of it’s stepped hulls offer almost 20% improvement in operating efficiency and a drier, softer, more responsive ride. With thousands of boats floating along coasts around the country, the product is the best testament to the dedication to “Performance Through Innovation”. Buying a Contender: We offer used Contender boats for sale worldwide, including Contender Center Console, Contender Express, Contender Cuddy, Contender Open models and more! Contact our sales professionals for immediate assistance. Selling Your Contender: With a team of experienced yacht brokers and marketing professionals, we will employ a comprehensive marketing approach to ensure your vessel receives maximum global exposure online as well as exposure in person at major boat shows. Learn more about how SYS Yacht Sales will help to sell your Contender boat!